As promised, Anastasia has set the date! The new musical will open on Broadway on April 24, 2017 at the Broadhurst Theatre, led by Christy Altomare, Derek Klena, John Bolton and Caroline O’Connor in the roles they originated at Hartford Stage. Directed by Tony winner Darko Tresnjak (A Gentleman's Guide), the new tuner reunites the Tony-winning creative team behind Ragtime and features a book by Terrence McNally, music by Stephen Flaherty and lyrics by Lynn Ahrens. Altomare will play Anya and has previously been seen on Broadway in Mamma Mia!. Klena is set to take on the role of Dmitry; his Main Stem credits include The Bridges of Madison County and Wicked. On screen he has been seen in Unbreakable Kimmy Schmidt and Blue Bloods. Bolton will appear as Vlad Popov—his Great White Way credits include Dames at Sea, A Christmas Story: The Musical, Curtains, Monty Python’s Spamalot, Contact, Titanic, How to Succeed in Business Without Really Trying and Damn Yankees. His TV resume includes four seasons on Gossip Girl. O’Connor is set to take on Countess Lily Malevsky-Malevitch; her Broadway credits include Chicago and A Christmas Story the Musical; she received an Olivier nod for Mack and Mabel in the West End. Her film work includes Moulin Rouge. Further casting and first preview date will be announced later. 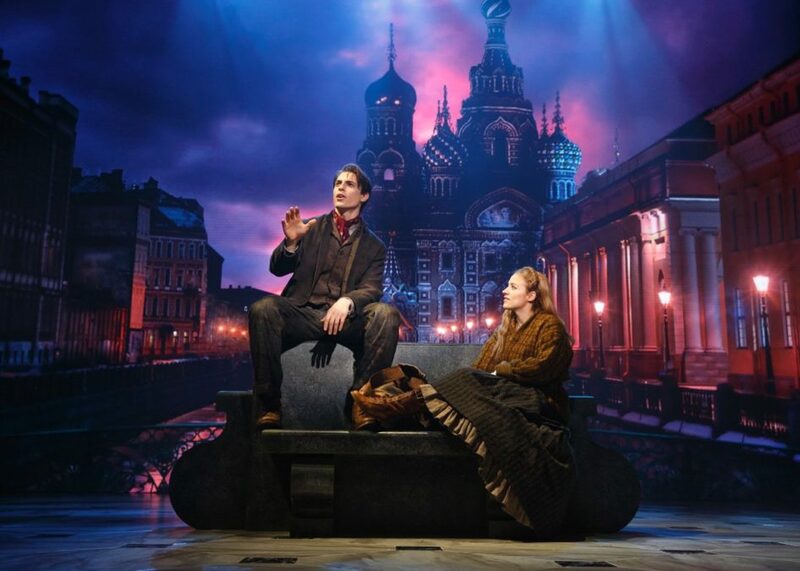 From the twilight of the Russian Empire to the euphoria of Paris in the 1920s, the new musical, Anastasia, is the romantic, adventure-filled story of a brave young woman attempting to discover the mystery of her past. Inspired by the Twentieth Century Fox movie, the tuner features songs from the 1997 film, including Ahrens and Flaherty’s Oscar-nominated “Journey to the Past,” as well as an entirely new score. The production will feature sets by Alexander Dodge, costumes by Linda Cho, lighting by Donald Holder, sound by Peter Hylenski, projections by Aaron Rhyne, hair and wig design by Charles LaPointe, music supervision and direction by Thomas Murray and orchestrations by Doug Besterman. Before Anastasia, the Broadhurst will play host to the starry Nathan Lane-led The Front Page.